Battlefield V: Tides of War Chapter 1: Overture update will deliver new content and a substantial increase in DXR ray tracing performance for Battlefield V. GeForce Gamers will be ready with a new Game Ready Driver. 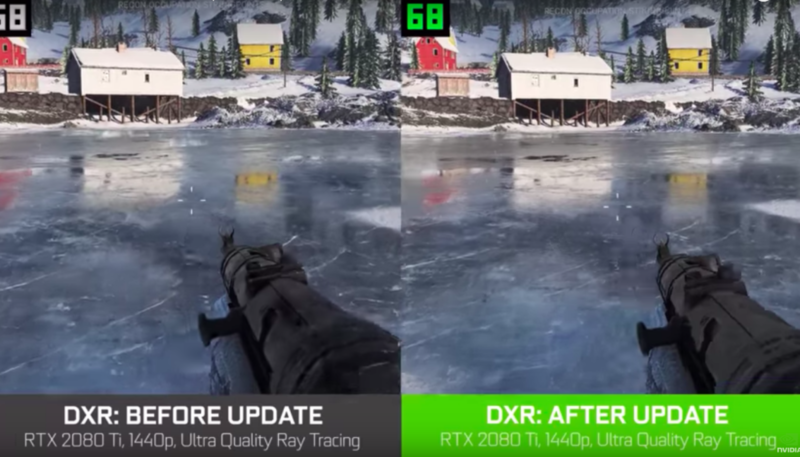 Made stability improvements while running the game with DXR Ray Tracing on. • Improved performance of several components of the ray tracing implementation. • Improved ray tracing performance against foliage and vegetation. • Using frame buffer data, where applicable, to increase overall ray tracing quality. • Removed inactive geometry from ray traced scenes. • Fixed medium quality setting not applying correctly.